The center of operations for your business. Save time and run your business better with Clover's POS Software. Clover is designed to grow with you. 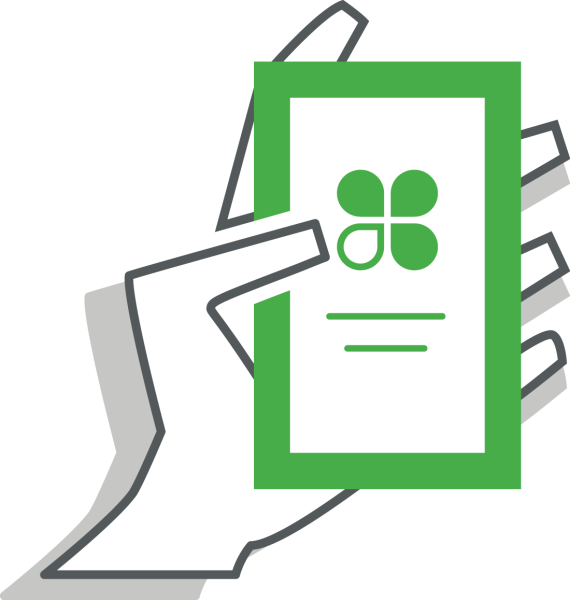 Whether you need a simple payment solution or a powerful POS, Clover has a POS software plan for you. Clover’s cloud based point of sale system keeps your data secure and lets you monitor your sales and manage your business from anywhere, on any device. It’s time to streamline your paper processes. Accept payments, send and store digital receipts, build your customer list for loyalty and marketing, and track your sales from anywhere. Compatible with: Clover Mini, Clover Flex. When your data is stored securely in the cloud you can check on your business wherever you are on the web or on your mobile phone. 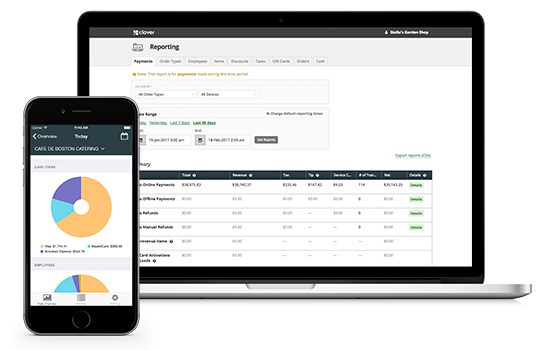 Real time reports let you monitor sales, cash, inventory and employees. Watch the day-to-day and compare your business overtime to learn how to sell more. Dashboard comes with all Clover software plans. 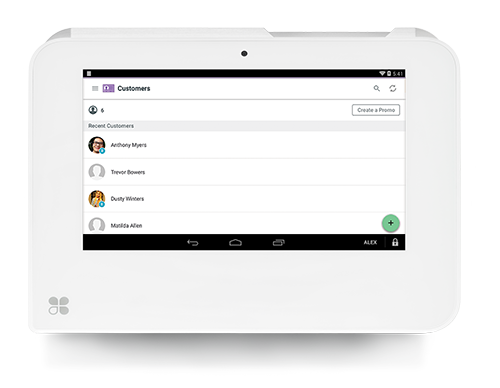 Manage your business from a single device, or from anywhere. Replace your cash register with a simple, integrated solution. With Register Lite you can track inventory, manage orders, set employee permissions, connect with your customers and take payments on a single device. Plug Clover Mini into a cash drawer and your counter is complete. Compatible with: Clover Mini, Clover Flex. order management built into your payment solution. are your best sellers to help you tailor your business for success. We’re designed for speed and simplicity with categories that help you organize your POS screen and fast ways to add new items on the fly. Our full featured POS offers powerful inventory and order management tools to keep things simple as your business gets more complex. 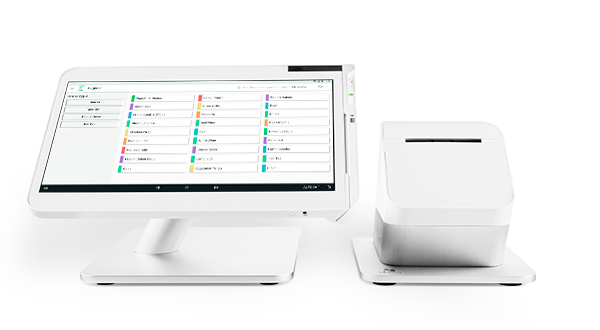 Clover is designed for speed whether you’re checking out a customer, modifying an order, or updating your menu, nothing is more than a few touches from complete. Add a kitchen printer, weight scale, and barcode reader to create the seamless experience you need. Compatible with: Clover Station, Clover Mini, Clover Flex. All Clover software plans include our customer engagement tools. We'll help you create your customer list, allow them opt-in to receive promos, accept rewards, and give you private feedback. You have a marketing powerhouse at your fingertips. Clover App Market has 200+ Apps to solve your business needs. Find the tools you need to do business better. We know your business is as unique as you are, so the Clover App Market offers specialized Apps from approved partners which work seamlessly with your Clover POS. Let Clover's POS Software scale with your business.